October 30, 2019, 8:30 a.m. – 12:30 p.m. This half-day conference for Black, Indigenous, and racialized emerging writers is your chance to connect with industry professionals, funding officers, and established writers — all in one place! 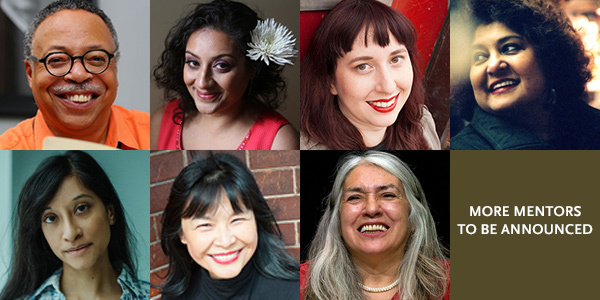 Presented by The Writers' Union of Canada and the League of Canadian Poets, BIPOC Writers Connect includes panels, workshops, and one-on-one feedback from a published author. This event is free for attendees, but advance application is required. Read on for more details. BIPOC Writers Connect: Mentorship, Networking, Training is open to Black, Indigenous, and racialized writers who have had a minimum of one published piece of writing (e.g. an article or short story in an online newspaper, school paper, or magazine), and who currently have a work-in-progress (fiction, nonfiction, or poetry) to submit for manuscript evaluation. Members and staff of The Writers' Union of Canada are not eligible to apply. Applicants must be 18 or older by October 30, 2019. Manuscript Evaluation & Mentorship — Each successful applicant will be paired with a professionally published Black, Indigenous, or racialized writer, who will have had an opportunity to read your manuscript in advance of the event. At BIPOC Writers Connect, you have the chance to sit down for a one-on-one discussion with your mentor for feedback on your submitted manuscript. Mentors (left to right): George Elliott Clarke, Farzana Doctor, Alicia Elliott, Ramabai Espinet, Doyali Islam, Carrianne Leung, Lee Maracle, and more to be announced. Farzana Doctor Photo Credit: Vivek Shraya. Doyali Islam Photo Credit: Arden Wray. Getting Published: In Conversation with Industry Professionals — We are bringing together literary industry professionals at each stage along a writer’s journey toward getting published. Join us for a discussion with literary industry professionals including a literary magazine editor, two book editors, and a literary agent. This panel will explore some of the challenges, pressures, and opportunities that come with immersing oneself in the world of writing. Panelists: Tiffany Morris (Indigenous Editors Association), Léonicka Valcius (Transatlantic Literary Agency), and more to be announced. Get That Grant! Intensive — Catalina Fellay-Dunbar, Toronto Arts Council’s Dance & Literary Arts Program Manager, will be leading a workshop on grant writing. Catalina will walk you through the dos and don’ts of navigating Toronto’s public funding opportunities and answer your questions along the way. Munch, Mix, and Mingle — Connect with leading literary professionals at our closing mix and mingle. Join us for a guided networking opportunity with all our conference guests, including mentor authors and industry professionals. CSI Spadina has barrier-free entrances and elevator access. Visit CSI Spadina's website for more details. Multi-faith space will be available for all attendees who require spiritual or religious accommodations. We encourage all attendees to arrive at BIPOC Writers Connect scent-free, as perfume may trigger a headache, wheezing, or allergic reaction to fellow attendees. This event was created in response to the unique barriers faced by Black, Indigenous, and racialized emerging writers navigating the literary industry. BIPOC Writers Connect will take place in Tkaronto, which translates to “Where The Trees Meet The Water,” or “The Gathering Place.” Tkraonto is bound by Dish With One Spoon, a treaty between the Anishinaabe, Mississaugas, and Haudenosaunee to share the territory and protect the land. We acknowledge them and any other Nations who care for the land (recorded and unrecorded) as the past, present, and future caretakers of this land. 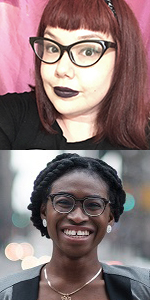 BIPOC Writers Connect: Mentorship, Networking, Training is a free event, but advance application is required. Application Deadline: July 7, 2019. Successful applicants will be notified in August. For more information about this event, contact Membership, Equity & Engagement Coordinator Jessica Kirk at jkirk@writersunion.ca or 416.703.8982 ext. 226. George Elliott Clarke is an internationally renowned poet and scholar whose books — including his highly esteemed poetry collections Execution Poems and Whylah Falls — have won him many honours, including the Portia White Prize (1998), the Governor General’s Literary Award (2001), the Dr. Martin Luther King Jr. Achievement Award (2004), and the Pierre Elliott Trudeau Fellowship Prize (2005). Born in Windsor, Nova Scotia, Clarke presently resides in Toronto where he is E.J. Pratt Professor of Canadian Literature at the University of Toronto. George served as Canada’s seventh Parliamentary Poet Laureate (2016–17) and Toronto's fourth Poet Laureate (2012-15). Alicia Elliott, a Tuscarora writer, has written for The Globe and Mail, CBC, Hazlitt, and others. Her essays have been nominated for and won National Magazine Awards, and her short fiction was selected for Best American Short Stories 2018, Best Canadian Stories 2018, and Journey Prize Stories. Tanya Talaga selected Alicia to receive the RBC Taylor Emerging Writer Award in 2018. Her first book, A Mind Spread Out On The Ground, was published in March 2019 by Doubleday Canada. Ramabai Espinet was born in Trinidad & Tobago and currently lives in Toronto. She is an academic, a writer, and critic. Her published works include the novel The Swinging Bridge, the collection of poetry Nuclear Seasons, and the children’s books The Princess of Spadina and Ninja’s Carnival. Carrianne Leung is a fiction writer and educator. She holds a Ph.D. in Sociology and Equity Studies from OISE/University of Toronto. Her debut novel, The Wondrous Woo (Inanna Publications), was shortlisted for the 2014 Toronto Book Awards. Her collection of linked stories, That Time I Loved You, was released in 2018 by HarperCollins and in 2019 in the U.S. by Liveright Publishing. It was also shortlisted for the Toronto Book Awards and longlisted for Canada Reads 2019. Her work has appeared in The Puritan, Ricepaper, The Globe and Mail, Room Magazine, Prairie Fire, and Open Book Ontario. Lee Maracle is a Sto:Loh nation grandmother of four, mother of four who was born in North Vancouver, BC. Her works include: the novels Ravensong, Bobbi Lee, Sundogs; short story collection Sojourner’s Truth; poetry collection Bentbox; and nonfiction work I Am Woman. She is co-editor of My Home As I Remember and Telling It: Women and Language Across Cultures; editor of a number of poetry works and Gatherings journal, and has published in dozens of anthologies in Canada and America. Lee is a both an award winning author and teacher. She currently is Mentor for Aboriginal Students at University of Toronto where she is also a teacher and the Traditional Cultural Director for the Indigenous Theatre School. Catalina Fellay-Dunbar joined the Toronto Arts Council after many years as a dancer, writer, educator, and arts advocate. Her professional dance experience, although varied, has long focussed on a personal lineage in Flamenco and Classical Spanish dance. Translating the experience of movement into words launched a parallel writing career as a contributor to journals, magazines, and anthologies on the topics of dance, identity, and cultural policy. She is passionate about helping artists reach their project goals through her current role at the TAC as Grants Manager for Dance and Literary Arts. Tiffany Morris is a Mi’kmaw editor and writer of speculative poetry and fiction. She is the author of the chapbook Havoc in Silence (Molten Molecular Minutiae, 2019). Her work has been featured in Room Magazine, Prairie Fire, and Eye to the Telescope, among others. A member of the Indigenous Editors Association, she writes, edits, reads tarot, and hunts UFOs in K'jipuktuk (Halifax), Nova Scotia. Find her online at tiffmorris.com or on Twitter @tiffmorris. Léonicka Valcius is an assistant agent at Transatlantic Agency, representing commercial and genre fiction for adults and children. As the founder of #DiverseCanLit and the founding Chair of the Board of Directors of the Festival of Literary Diversity (FOLD), working with writers of colour is a key part of Léonicka's mandate. 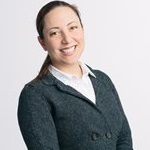 Léonicka previously worked on the online and digital aales team at Penguin Random House Canada and as the French book buyer for Scholastic Book Fairs Canada. For more of her work visit leonicka.com. This event is funded by the Ontario Arts Council.